Is there a feature or improvement that you would like to see in Class? If so please contact our Support Team and ask for an item to be entered onto our Wish List. We have an ongoing list of customer requests that our development team works through in order to ensure we constantly add new features for our clients. When are Wish List Items actioned? It is now possible to set the “Tuition Start Day” to any day of the week. An enhancement has been added to the System Settings section where you can decide how you calculate the enrolment and group durations (e.g., as either days or nights). It is now possible to change the User Defined Fields’ heading name. It is now possible to filter the report by “Agent”. This feature will help when producing a monthly list of Government Embassy students and their attendance during a particular date range. A new field called “Student Age” has been added to all statistic generators (Accommodation Bookings, Class Bookings, Course Bookings, Enrolment Bookings, Invoicing). A new field has been added to the Quick Reports section to allow a student’s “Age on Arrival” to be included in the report. How do I know when one of my wishes has come true? To see the latest Wish List items that have been included in the most recent version of Class, download the Release Notes from the Customer Login section of the site. On the Release Notes you will see items marked with a star – these are the Wish List items. 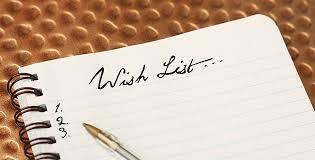 When your Wish List item is included, we will also contact you and let you know that the item has been actioned.